Ever want to enjoy the great outdoors, but from the comforts of your own home? If you’re looking for a window that will provide functionality and design, casement windows from Window World of Long Island may be just what you need! Window World’s 4500 Series Casement and Awning windows are the modern equivalent of the crank-out style windows that were popular in older homes. The contoured design of the rugged vinyl frame blends with virtually all home exterior designs – from the historic traditional to the mid-century modern. On Casement windows, the sash opens outward to a full 90-degrees with a streamlined folding crank handle. Sash can open from the right or the left, and are supported by a heavy-duty support hinges that maintain perfect alignment when opened. Sash on Awning windows open upward from the bottom. Casement windows are locked with a single lever, while Awning windows have two locks. Multi-chambered frame profiles increase strength and thermal performance. Glass penetrates sash 1/2″ to keep edges warmer and inside temperatures even. Intercept® U-channel spacer system adds to overall thermal performance. Frames and sash are welded at mitered corners for long-lasting strength. Casement sash open to a full 90-degrees with a streamlined folding crank handle. When opened, sash are supported by zero-slip hinge system. Sash lock at multiple points with one handle. Window World’s Casement and Awning 6500 Series windows flaunt superior performance that begins with innovation. Every component of the windows work to be energy efficient, weather protective and insulating, all while maintaining a beautiful and timeless appearance. The 6500 Series windows are also covered by Window World of Long Island’s impressive Lifetime Limited Warranty to ensure the windows operate efficiently and effectively, year in and year out. Think casement & awning windows could be right for your home? 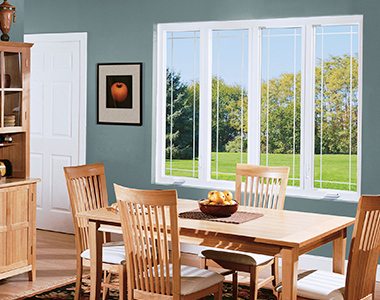 Contact Window World of Long Island today for your free in-home estimate!